PPC or Pay per clicks has become one of the most popular online marketing models, in the digital advertising world, due its effectiveness and the ability to boost businesses to the top of search results in a short span of time. PPC campaigns have to designed with great care and we at Ranclicks have put together thousands of winning PPC campaigns for our diverse range of clients from India and overseas. PPC models also allow you to track web traffic in real time, so that you can take note of the days and times of years, your service/products generate peak interest from users online. The returns from a PPC campaign can be upto 1000 times greater than what you spend on a click! Of course a lot depends upon the experts behind the scenes. With our impeccable track record RankClicks has become one of the most recognised PPC companies in India, helping businesses amplify their presence to the top of search results. 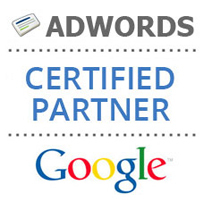 The PPC game is largely dictated by Google, as being the primary search engine around the world. If you are looking for a quick and effective way to build up online presence, PPC is your answer, as it can translate to almost instantaneous results. What's more, you can even track the statistics on the user traffic to your web pages which goes a long way into creating an invaluable repository of data, for marketing strategies in the future that create maximum impact. RankClicks being a certified Google partner, has extensive experience in putting together PPC campaigns, using indigenous techniques, perfected over the years, that make sure that our clients are always at the top of search results. Our team has the requisite experience in dealing with all kinds of businesses and our past experience has included dealing with all kinds of companies from India and around the world. Our PPC services in India are one of the most cost effective and has earned us repute for being one of the top pay per clicks company in the country.